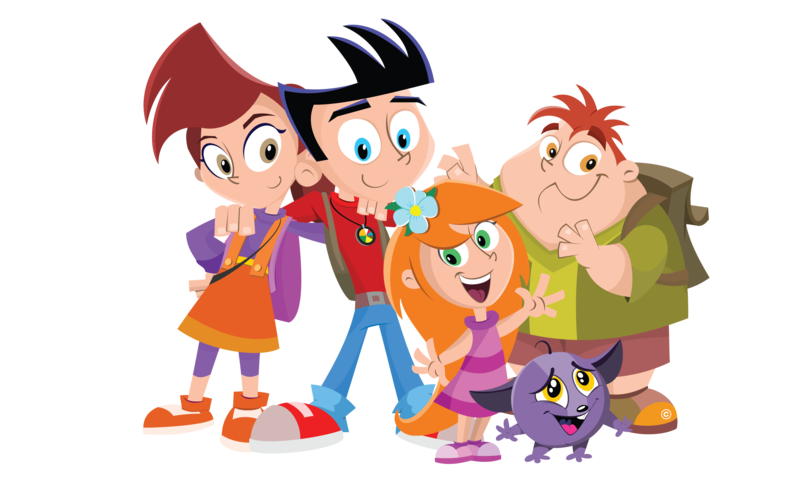 A Must Watch Children’s Animated Series on Healthy Eating + 3 Month Hulu Plus Subscription Giveaway! What is Nutri Ventures all about you ask? This is the only animated series that focuses on nutrition and healthy eating, which is such a huge topic right now for so many. Kids can follow the heroic adventures of Theo, Lena, Ben and Little Nina who have never known what real food is. They’ve only known Genex 100, the synthetic creation of the nefarious and ultra-rich Alex Grand. Theo learns the truth about real food and how important it is, so he sets out on a quest to discover the seven kingdoms where the real food remains. His goal? To bring real food and nutrition back to their world. Nutri Ventures Corp has also made their episodes free to the U.S. public education systems. This means that nearly 60,000 elementary schools will have free access to the 29 episodes, along with 200 additional pieces of educational materials. As a mom who is constantly fighting the healthy eating battle as I shop the grocery store aisles, am the person who chooses what we have for dinner and prepares my kids lunches and snacks; I am beyond thrilled to see a children’s program such as Nutri Ventures supporting my goals. It absolutely makes a difference what our kids watch. We know that. So if our kids are watching a program about healthy eating choices, as opposed to something else (like a show that teaches them…oh, I don’t know – don’t get me started) they will be more motivated and excited to try new things. Alright, who wants to win that 3-month Hulu Plus Subscription? Good luck! My go to snack for my kids is animal crackers or cheese puffs… okay, for a healthier snack, they like veggie straws and grapes! We love cheese chunks (colby jack). We love to chop up watermelon, and pineapple for snacks. fruits, my kids love apples! Trail mix — it’s nutritious and filling! carrots, raisins stuff like that. Strawberries is our favorite snack. My go to snack for my kids is goldfish. We are big popcorn eaters. We also like pumpkin seeds and sunflower seeds. Our go to snack is popcorn! My kids love different fruits mixed together. String cheese, fruit, and carrots and celery. My children love these items and they are quick go-to snacks. We love fruit, especially grapes! Whatever is easiest so I try to have fruit or some homemade snack handy. Otherwise we grab for the chips and cookies – but for example, I have a bowl of grapes in the fridge for easy access. My go to snack is cheese and crackers. Pudding, it is a quick and easy snack. The epicness of a wrap with chicken, spinach and cutie slices. I am in lunch mode right now. Our go snack is pretzels and Cheese-its.